Aaron Anthony, his wife Lauren Kokai, two-year-old daughter Adelaide, and their long-haired cat Cyrus recently moved into a single family home in Anthony’s hometown, Shaler. It’s just north of Pittsburgh, along the Allegheny River. Dana Brown, executive director of the Pennsylvania Center for Women and Politics at Chatham University, tells 90.5 WESA's Kevin Gavin that political parties "often deter women from running" for office. One day after the inauguration of Donald Trump, women, men and children marched in Washington, D.C. and in cities across the country, including Pittsburgh. Women were encouraged to run for office at all levels: federal, state and local. But was that call to action taken to heart and was it reflected in the recently held Pennsylvania Primary? The memoir Hillbilly Elegy came out last June, and by the election, it was being heralded nationwide as an answer to a shifting political climate millions of voters say they never saw coming. But every time a book rises in popularity that fast, there are a few people in Allegheny County ready to help its readers ride the wave. 90.5 WESA’s Megan Harris brings us this story for Essential Pittsburgh, our ongoing series about how Pittsburgh lives and how the city is evolving. Two part-time workers stood on either side of a T-shaped conveyer belt as 61-year-old Joe Spaniol moved down its twin trunks, trading full boxes with empty ones when its contents started to overflow. An independent report from an academic group has given Pennsylvania a dismal ranking in how well it conducts its elections. The Electoral Integrity Project—which is based out of Harvard University and the University of Sydney—has the Keystone State tied for fifth-worst in the country. 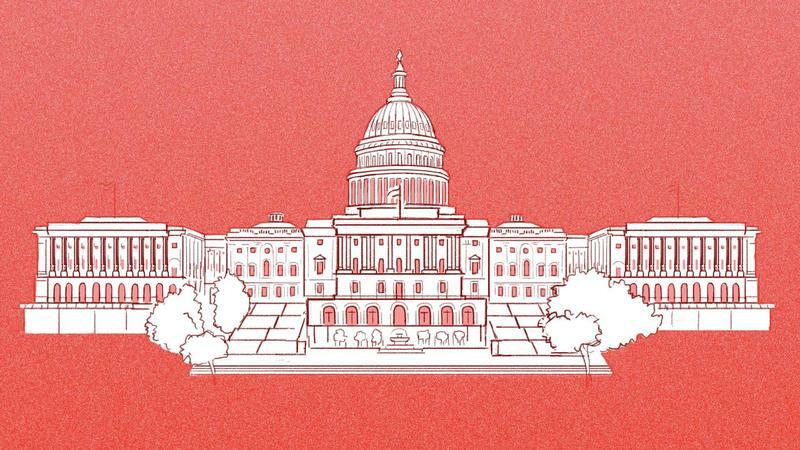 The group ranked states based on 12 criteria, including electoral laws and procedures, media coverage, campaign finance, and district boundaries. Republican Donald Trump has scooped up Pennsylvania's 20 electoral votes. Members of Pennsylvania's 58th Electoral College met at the state Capitol amid demonstrations by hundreds of protesters to cast the state's 20 electoral votes for Trump. More than 200 demonstrators are on the steps of Pennsylvania's Capitol to greet members of the state's 58th Electoral College, with the faint hope that they'll persuade them not to vote for Republican President-elect Donald Trump. The demonstrators were waving signs and chanting in 25-degree weather Monday morning as delegates began arriving at the state Capitol to cast the state's electoral votes for president. Monday's ceremony starts at noon in the state House of Representatives' chamber. Pennsylvania election officials want a federal judge to throw out a Green Party-backed lawsuit that seeks a recount of paper ballots cast in Pennsylvania's Nov. 8 presidential election and an inspection to make sure election software wasn't hacked. Thursday's court filing says Green Party presidential candidate Jill Stein lacks the necessary standing to challenge the election result because any change won't make her the winner. The state's lawyers also call it "rank speculation" to suggest that Russian hackers somehow flipped the vote. As the Green Party pushes for election recounts in key states, leaders of Pennsylvania's Republican Party have expressed concerns the delays could ultimately hold up President-elect Donald Trump's inauguration. But, those fears now appear to be eased — a lawyer for the state GOP has said he's confident Pennsylvania's results will be validated on time. States are federally required to settle controversies surrounding the appointment of their electors on Dec. 13. Otherwise, their electoral votes may not be deemed valid by Congress. A Philadelphia judge has refused the request of Green Party presidential candidate Jill Stein to do a digital audit of a small fraction of the city's voting machines. It's the latest setback for Stein's recount effort in Pennsylvania. Green Party supporters were in Harrisburg on Monday to vocally back Jill Stein’s quest for a presidential vote recount in the commonwealth. Stein, the Green Party candidate, has now filed suit in both federal and Philadelphia city courts. Allegheny County officials found no disparities after recanvassing some of the election results on Monday. Participants in a campaign led by the Green Party’s Jill Stein filed recount petitions in 52 of Allegheny County’s 1,322 voting districts. Allegheny County Elections Division Manager Mark Wolosik said the recanvass that took place is different than recounting individual votes. Calling Pennsylvania's election system "a national disgrace," Green Party-backed lawyers asked a federal judge on Monday to order a recount of the state's Nov. 8 presidential election result, won by Republican Donald Trump. Election officials in Philadelphia will conduct a recount Friday of the presidential vote in 75 of the city's 1,686 precincts, in response to petitions filed by Green Party candidate Jill Stein. But at a hearing Thursday morning, the city's election board turned down the Stein campaign's request to open up voting machines and look for digital evidence of hacking. Philadelphia is one of several Pennsylvania counties where partial recounts are happening, the result of precinct-level recount petitions from several hundred voters recruited by the Stein campaign. It's Thursday. Mom's been chopping, whipping, beating ingredients for days, but you aren't technically allowed to eat any of it. You're hungry. Dad is hungry. You're splayed on the couch with your younger brother, who yawns into your shoulder over the cacophony from Macy's Thanksgiving Day Parade. The dog hasn't budged from his hours-long, not-so-silent protest in front of the oven. He knows there's food up there. He's not wrong. Fido is never wrong. Theresa Cygrymus looked around the hall at Prince of Peace Parish, a Catholic Church on Pittsburgh’s South Side, and shook her head. “It’s already nine o’clock, usually we have stuff cooking already," she said. Cygrymus knows the drill. At 78, she’s been volunteering for the church all her life. On a Saturday in late October, Cygrymus and a church group called The Christian Mothers were preparing to churn out hundreds of dozens of pierogis to sell. All the money they make supports the church and its outreach. On Election Day, many Pennsylvania voters from both sides of the aisle watched in surprise, and in some cases, shock, as Donald Trump won the commonwealth and was elected the next president of the United States. They weren't the only ones. Lots of political analysts in the state were also taken aback. Most major polls never showed Trump winning Pennsylvania, let alone the election. The state was thought to be part of opponent Hillary Clinton's so-called "blue wall." The Confluence – where the news comes together is 90.5 WESA’s weekly news program. Each week reporters, editors and bloggers join veteran journalist, and host, Kevin Gavin. They’ll go behind the headlines taking an in-depth look at the stories important to the Pittsburgh region. This week our panel of journalists discuss the presidential election results and the resignation of Police Chief Cameron McLay. We'll also check in with reporters in Harrisburg for a conversation on how the commonwealth's election results will impact the House and Senate. Unease, anger and a desire to take action motivated more than 300 people to gather at the Ace Hotel in East Liberty late Wednesday, prompting small group meetings, impromptu speakers and a protest curtailed by smoke bombs through nearby Shadyside. When North Carolina was called for Donald Trump, a crying Dynah Haubert left the Sheraton ballroom. She and other activists were among the crowds of Pennsylvania Democrats watching election results come in — until they could take no more. It was back in July that Haubert experienced her first purposeful involvement in politics on the stage at the Democratic National Convention. "It's always been up to us. I felt that finally it's not just us shouting into the wind," she said. As the world woke up Wednesday to Donald Trump's presidential election victory, congratulations from foreign leaders were mixed with worries about how Trump's provocative campaign pronouncements will be translated into policy. Russian President Vladimir Putin sent a telegram — yes, a telegram — to congratulate Trump. But Putin also addressed the troubled state of relations between the two countries. I've been hearing for weeks that if you drove through western and central Pennsylvania, you'd see Trump signs everywhere, like mushrooms. How could the polls showing Hillary Clinton so far ahead in the state have been so wrong? Trump, who happily ignored the conventional tools of political campaigns, just did it his way and won. An early look at the numbers suggests it was Trump's ability to excite and expand his populist base that got the job done. 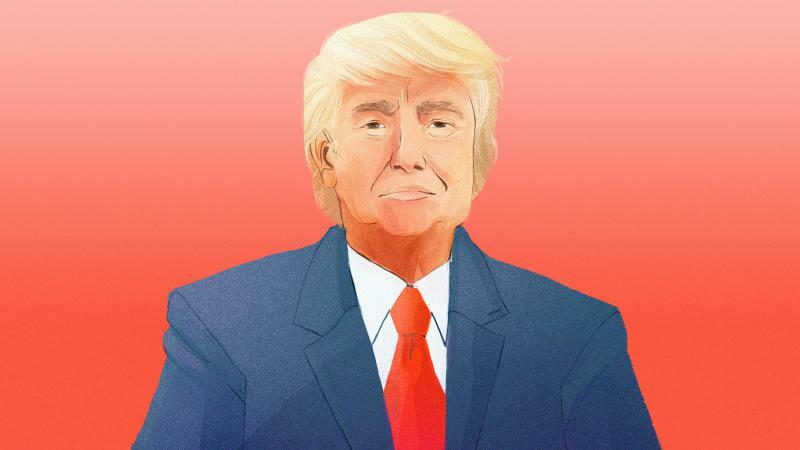 Donald Trump's presidential campaign, like the business career that preceded it, was unpredictable, undisciplined and unreliable. Despite those qualities — or perhaps, in part, because of them — it was also successful. So what should we expect from President-elect Trump, mindful that his path to the White House has defied expectations at every turn? Pennsylvanians have voted to raise the mandatory retirement age for judges. The constitutional amendment approved Tuesday will let judges remain on the bench until the end of the year in which they turn 75. That's five years longer than currently allowed. Passage of the ballot measure means Republican Supreme Court Chief Justice Thomas Saylor won't have to retire next month, and Democratic Justice Max Baer won't have to step down at the end of next year. 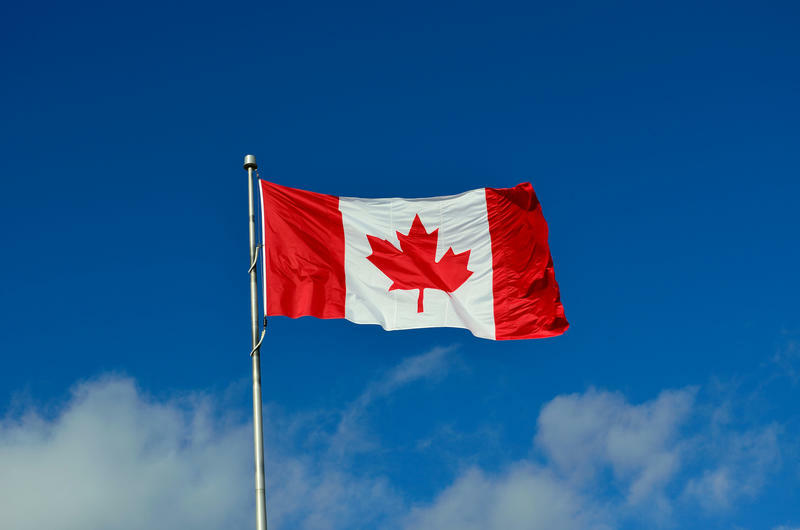 Canada's Immigration and Citizenship website was down for hours Tuesday and Wednesday — apparently due to a spike in searches by Americans reacting to Tuesday's presidential election. Access was cut off on Election Day; the site was brought back online shortly after 10 a.m. ET. President-elect Donald Trump says Hillary Clinton congratulated him on his victory. Shortly before clinching the election, the Republican scored an important victory in the presidential battleground of Pennsylvania, capturing a state critical to Democrats' White House hopes. The legalization of marijuana continued to expand as several states voted to legalize recreational and medical marijuana. 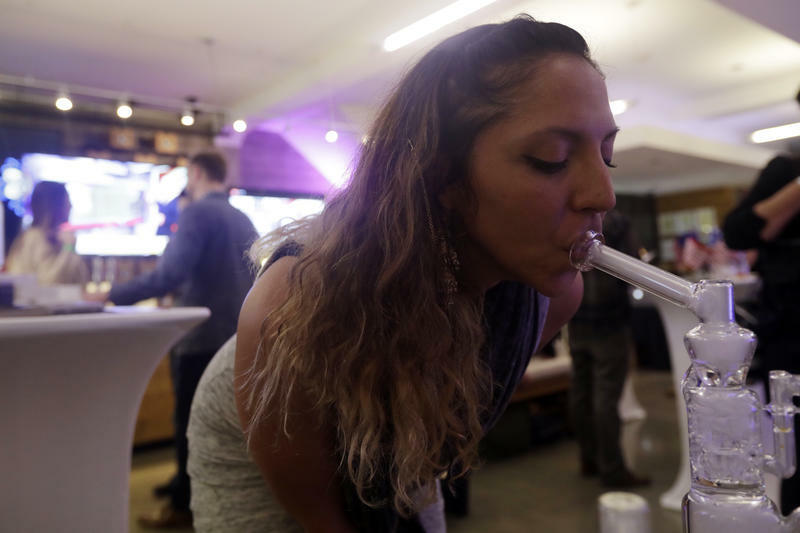 By a wide margin, California and Massachusetts voted to legalize recreational pot on Tuesday. Arkansas, North Dakota and Florida voted to legalize medical marijuana. It's still too early to tell which way ballot initiatives in Arizona, Maine, Montana and Nevada will go. But the trend is positive for those in favor of legalizing marijuana and it's also part of a larger trend across the country. Republicans will hold on to control of the Senate, according to Associated Press projections. The GOP defied the odds in a year in which it was almost entirely on defense and rode a wave that carried Donald J. Trump to the White House. Even with their best opportunities to gain seats in years, Democrats so far have only been able to pick up deep blue Illinois. And they narrowly hung on in Nevada, which was Republicans' only offensive opportunity. For the first time, a U.S. state has elected an openly LGBT governor. 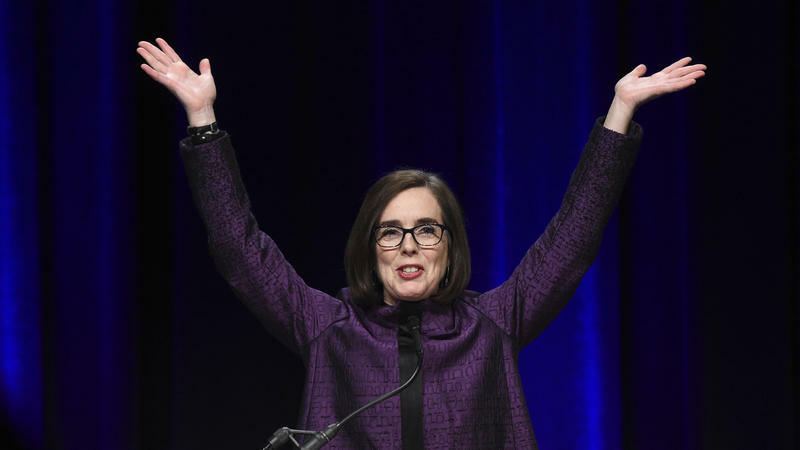 The landmark was reached in Oregon, where the Associated Press projects that Kate Brown has won the gubernatorial election. Brown was the incumbent in her race — but running for election for the first time. Democrat Joe Torsella will be taking over an office marred by scandal after winning the race for Pennsylvania treasurer. Torsella, of Montgomery County, beat Republican businessman Otto Voit of Berks County in Tuesday's election. The 53-year-old Torsella was most recently a presidential appointee to the U.S. Mission to the United Nations. Republican Sen. Pat Toomey has narrowly defeated Democrat Katie McGinty. History's most expensive Senate race concluded more than four hours after polls closed at 8 p.m. Tuesday with thousands still in line to cast their ballots.